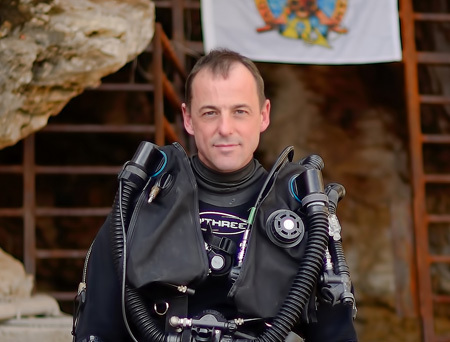 Andrew Pitkin learned to dive in 1992 in the cold murky waters of the United Kingdom and started cave and technical diving in 1994. 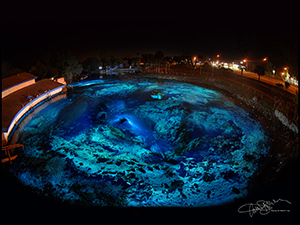 His first exposure to exploration was in 1995 when he was one of a team of divers who were the first to reach the bottom of the Great Blue Hole of Belize at 408 fsw (123 msw). Subsequently he has been involved in numerous cave exploration projects in Belize, Mexico and Florida. From 1996-2000 he was employed at the Royal Navy’s Institute of Naval Medicine, running a hyperbaric facility, treating decompression illness, participating in research into outcome after decompression illness, submarine escape and testing of new military underwater breathing systems. He is one of a handful of civilians to be trained by the Royal Navy as a diving medical officer. He is currently on the faculty of the University of Florida College of Medicine in the Department of Anesthesiology. His professional interests include pediatric cardiac anesthesia and medical education. 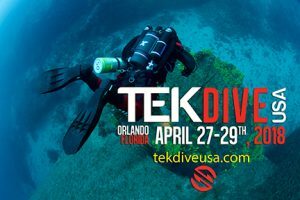 He has been diving a Prism CCR since 2004 and has yet to find a unit that can outperform it for long-range and deep cave diving. For specific applications he has experience in side-mount, no-mount and even back-mount configurations, both open- and closed-circuit.